You’ve just come off a 24 hour bus ride in the tropics. Of course there’s no air conditioning and you’re legs are stuck to the seat with your own perspiration and possibly the old man sitting beside you. You pray that musty, rancid stench rising up through the heat mist is purely his. There’s no way you can reach into your bag to pull out your bottle of perfume just in case. The perfume is either wrapped up in a towel in the depths of your bag so it doesn’t break, or it’s not even in your bag because its too big and fragile to pack with you. If that’s the case then you are pretty used to your own stench now and not smelling it. It’s a pretty normal scenario on the travel road. I think I only got my first bottle of perfume a few years ago, when I laid my hat down in one spot for a little longer. It just didn’t make sense to carry perfume around with me before that. 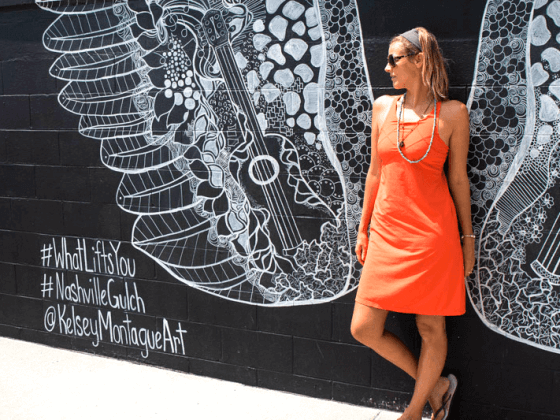 My friend, Brooke Schoenemann from Brooke vs the World and Her Packing List has been busy in her kitchen bubbling up a remedy to help ladies smell nice on their travels. No more need for big, bulky bottles that break and create more hassle than sweet smells. The solid perfume comes in a small canister and rolls on just like lip gloss. Brooke is really clever and I love how she has started her travel perfume brand, Aroamas, from her kitchen. They have cute labels and names as well, each representing the experiences travel can bring you. She offered one for me to try and I had to choose dream. Of course, it was simple to apply and I threw it into my purse when finished. We were at the Problogger conference and about 20 minutes later I was listening to a session on becoming a speaker when this divine vanilla essence began floating around me. Obviously, I’m not used to such sweet smells around me, so I searched high and low before I realized the smell was coming off me. It was Aroamas! I quickly tweeted Brooke and I was hooked on what a worthwhile addition it is for any girl’s luggage. Brooke is on a winner here. I’m very happy to see photos of her on my facebook feed now at the weekend markets with a stall sharing her travel perfume with the world. I asked her if I could share it with y’all because I think it’s awesome and I want to support the little people cooking up inventions that rock in their kitchens. 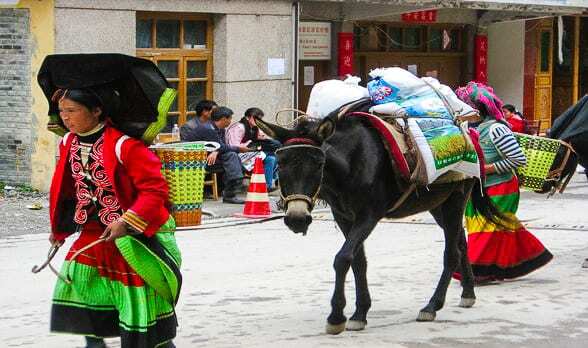 After running a female travel gear and packing site (Her Packing List) for several years, I decided to try my hand at creating a female travel product of my own. Of course, I wanted to start out simple and small – something that wouldn’t take up too much inventory space or cost too much to manufacture – and I also wanted to solve a problem at the same time. One thing I would always leave behind when I hit the road was perfume or body sprays because I hated dealing with the extra liquids and worrying about any spills or leaks in my bag. But it was always the one thing that I really wished I had… after a long day of touring, flying, and so on. That was before I discovered perfume in a solid form. And that’s when Aroamas was born. 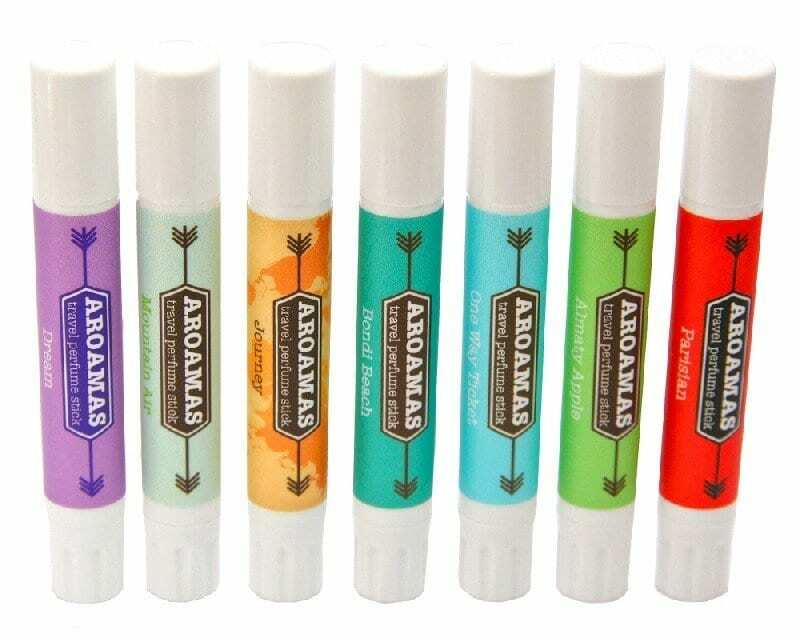 Aroamas are solid perfume sticks that are meant to “roam” the world with you without the threat of spills or leaks in your luggage, purse or pocket. My fragrances are chosen with the traveler in mind, and the Aroamas line consists of scents such as Parisian, Journey and Bondi Beach. I create each and every Aroamas by hand in Sydney, Australia. That’s mixing, melting, filling, labeling and shrink-wrapping – it’s quite the labor of love, but I have a great time doing it! Caz you are my hero! What a genuine little invention, just the perfect little fit to my shoulder bag. I hope to see Aroamas lined in the markets soon! Yes. Don’t forget Heera that it is in the online markets, so check out Brooke’s website. The perfect traveler’s perfume stick! To have made it in her very own kitchen, that deserves a credit by far. Caz thank you for such a helpful article. I love these! I’m going to contact her about marketing them to the active/athlete crowd as well. I’m always looking for something like this after I bike. Useful information ! It is worth and meaningful. Thanks for sharing and letting us know.